I really enjoyed the stitch for week 28 of Take A Stitch Tuesday http://pintangle.com/. 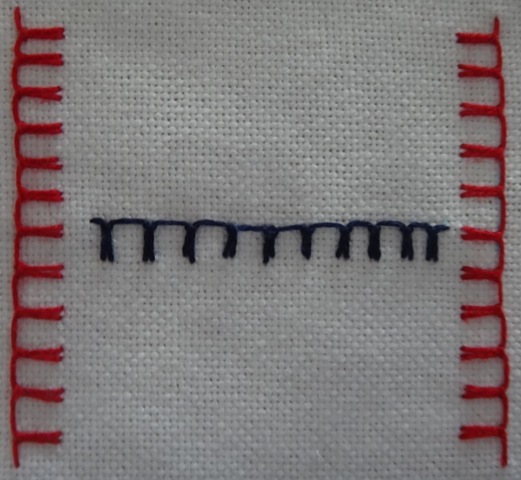 It was Up and Down Buttonhole Stitch. I had never done this stitch before and don’t think I exactly followed the directions but it turned out the same. The second quarter of my Crazy Quilt Journal Project block for July http://www.cqjp2012.blogspot.com/ used the Up and Down Buttonhole Stitch. It was nice to have a stitch I enjoyed after my struggle last week. Again I used the red, white, and blue Perle Cotton and also continued with the lace used last week. 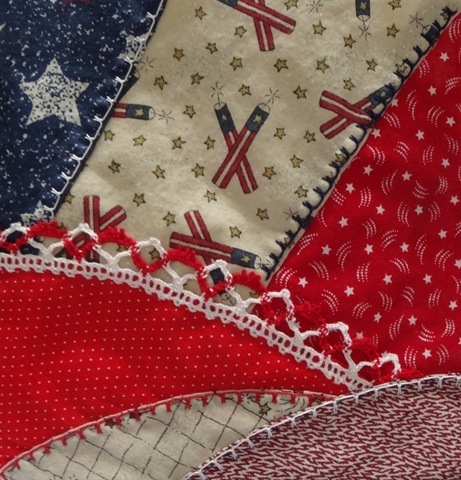 I am enjoying working on my July Red, White, and Blue block. 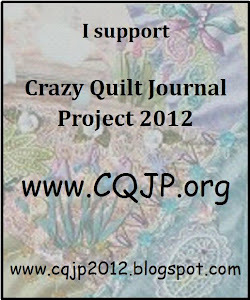 This entry was posted in CQJP, July, TAST, Up and Down Buttonhole stitch. Bookmark the permalink.